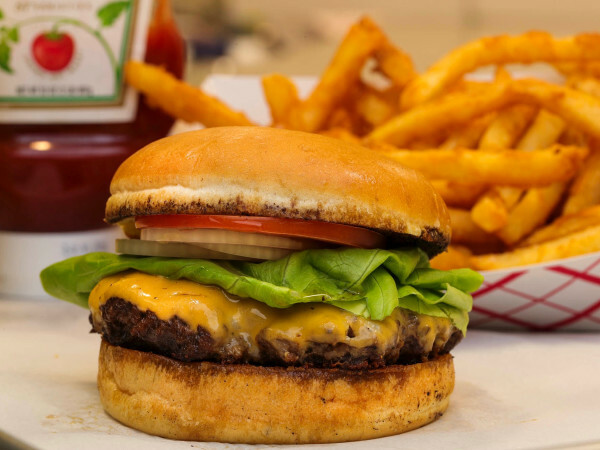 B&B Butchers on Washington Ave. offers a colossal, hard-to-surpass burger, available during lunch (and brunch). 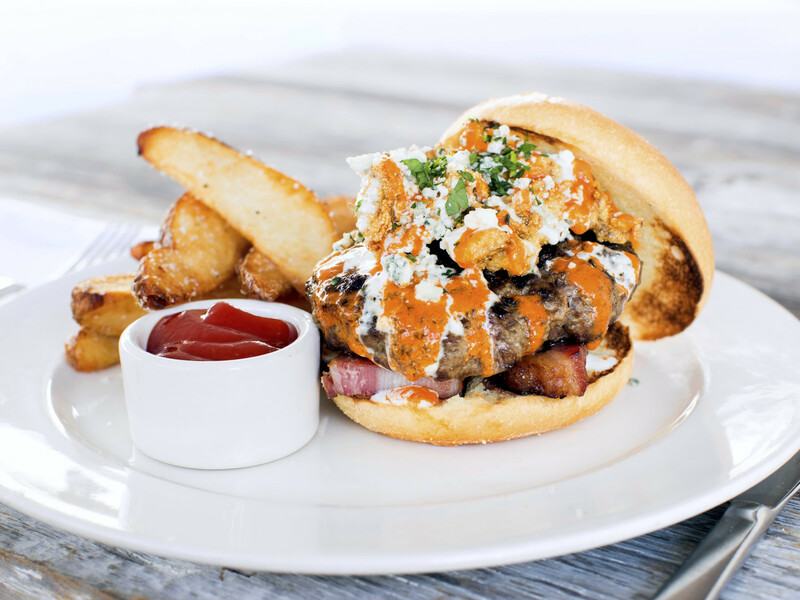 The Carpet Bagger ($18) features a deluxe patty, made with filet mignon and dry-aged sirloin, topped with thick-cut bacon, house-made blue cheese dressing, crumbled blue cheese, Cajun-fried oysters, and house-made hot sauce. 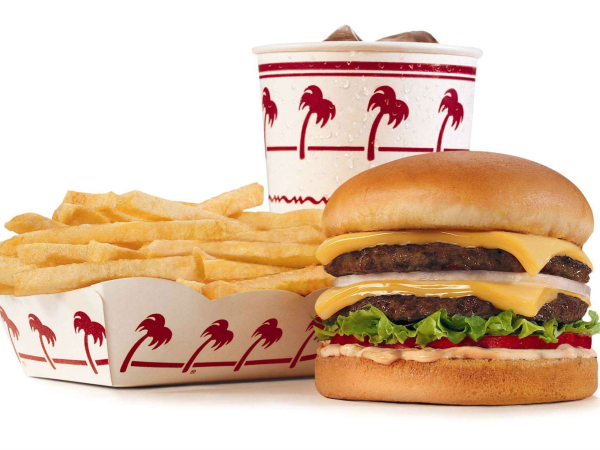 All on the same burger. 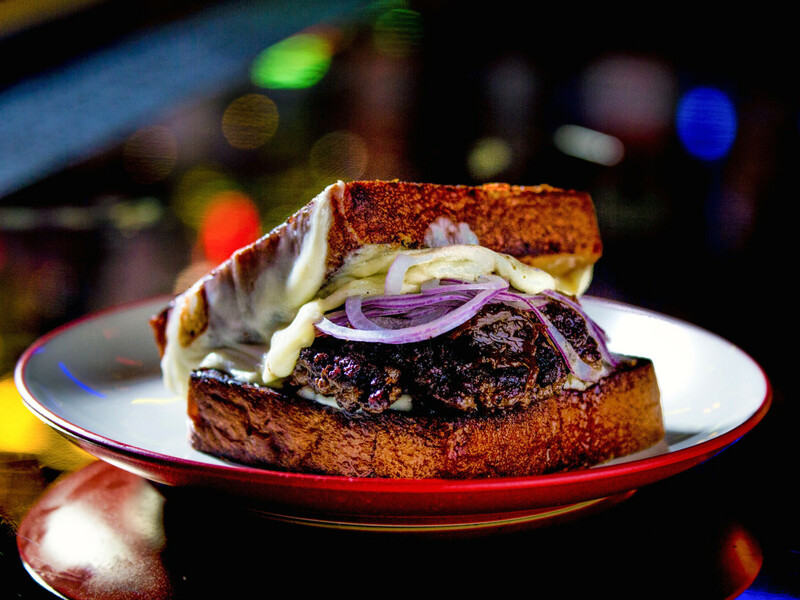 Cozy Heights neighborhood cocktail bar Better Luck Tomorrow takes the standard cheeseburger to a whole new level with the Party Melt ($12). 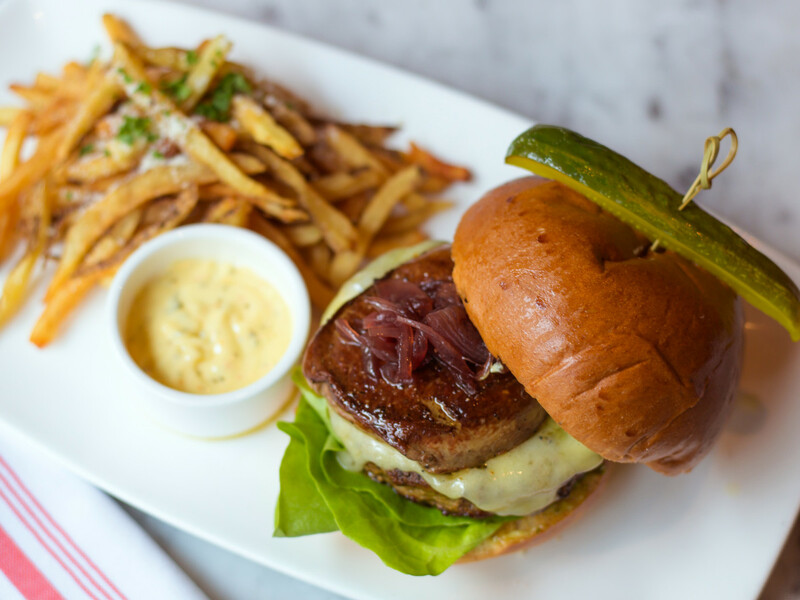 A brisket-wagyu hamburger patty is covered with onions that have been caramelized for six hours, and crispy hand-grated Parmesan. 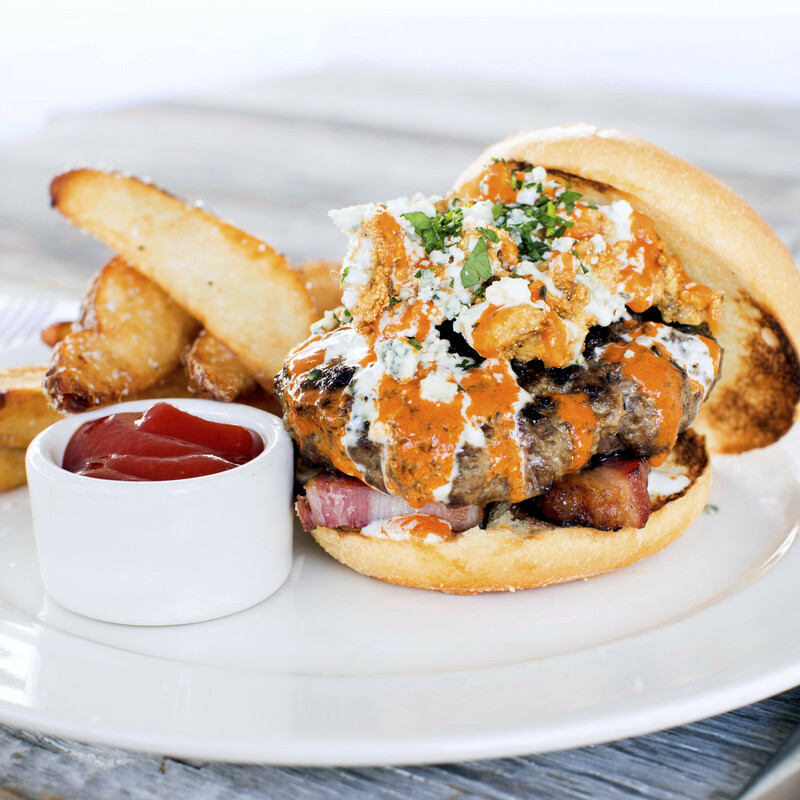 It’s all served on house-made bread, twice-fried on a griddle. You definitely won't want to miss this one. 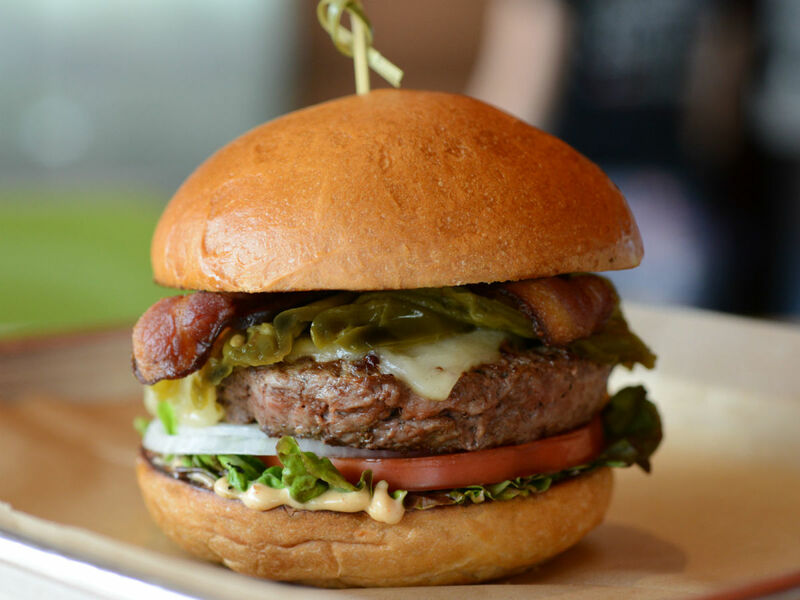 A burger with chili is a big yes in our book, but Hopdoddy ups the ante with the Terlingua ($8.50), piled high not only with chile con carne, but also with Fritos Corn Chips. 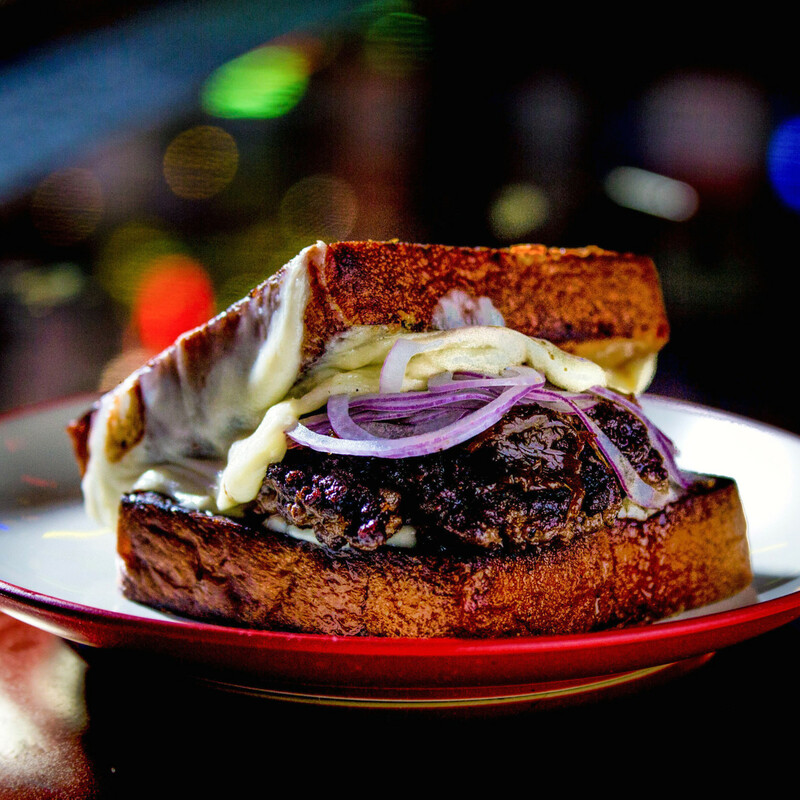 Cheddar cheese and “sassy” sauce, a mix of horseradish, mustard, and mayonnaise, round out the list of toppings. 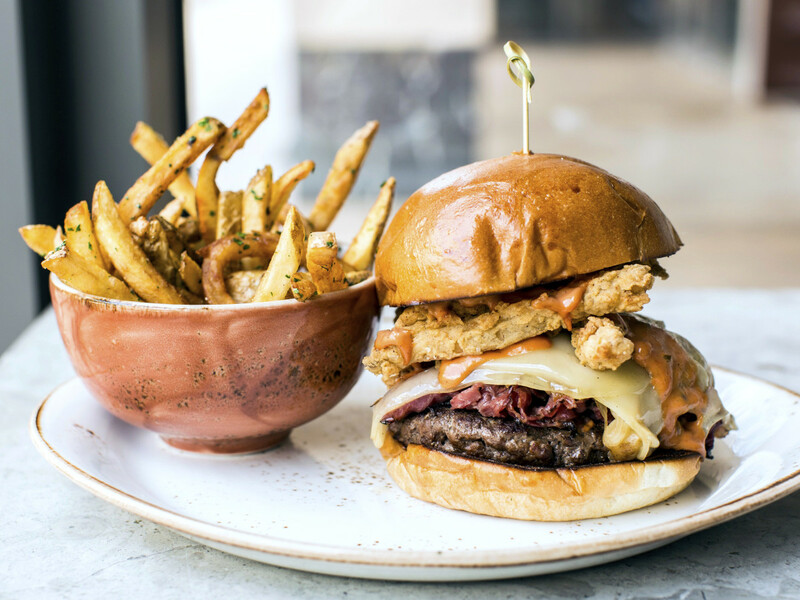 The extra-meaty house burger at Ritual restaurant, which shares the restaurant's moniker ($17), is presented with a heaping of tender brisket (tossed in onion demi sauce) atop a prime patty. But it’s the hefty drizzling of blue cheese fondue spiked with Dogfish Head Indian Brown Ale that really sets it apart from the pack. 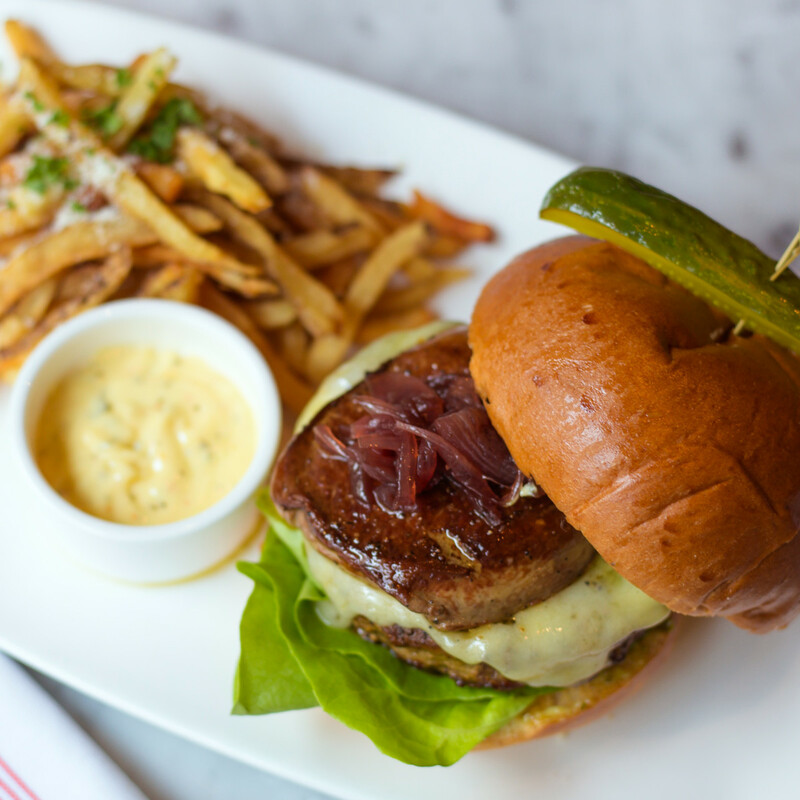 French eatery Toulouse in River Oaks District offers an elevated spin with off-menu burger, the Foie Gras ($32). 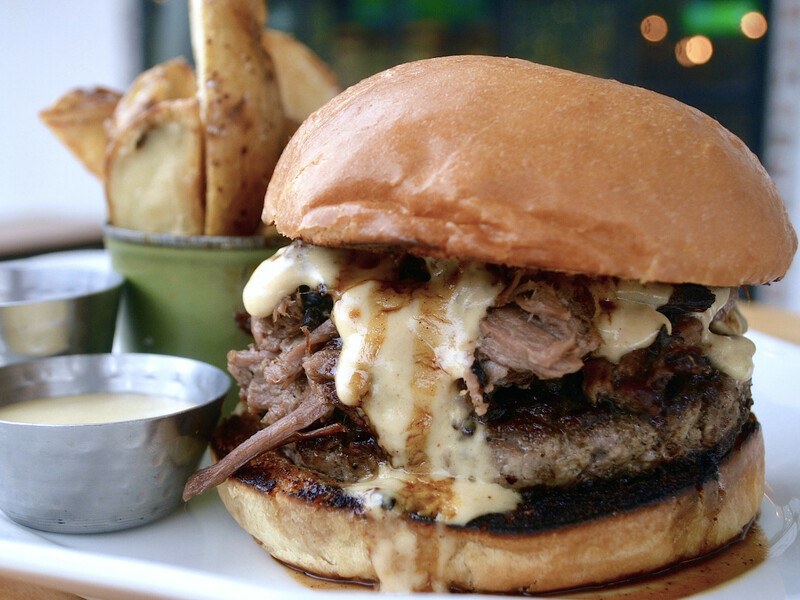 Along with the decadent duck liver, the ultra-flavorful sandwich comes with Gruyere, onion marmalade, and a side of bearnaise sauce. 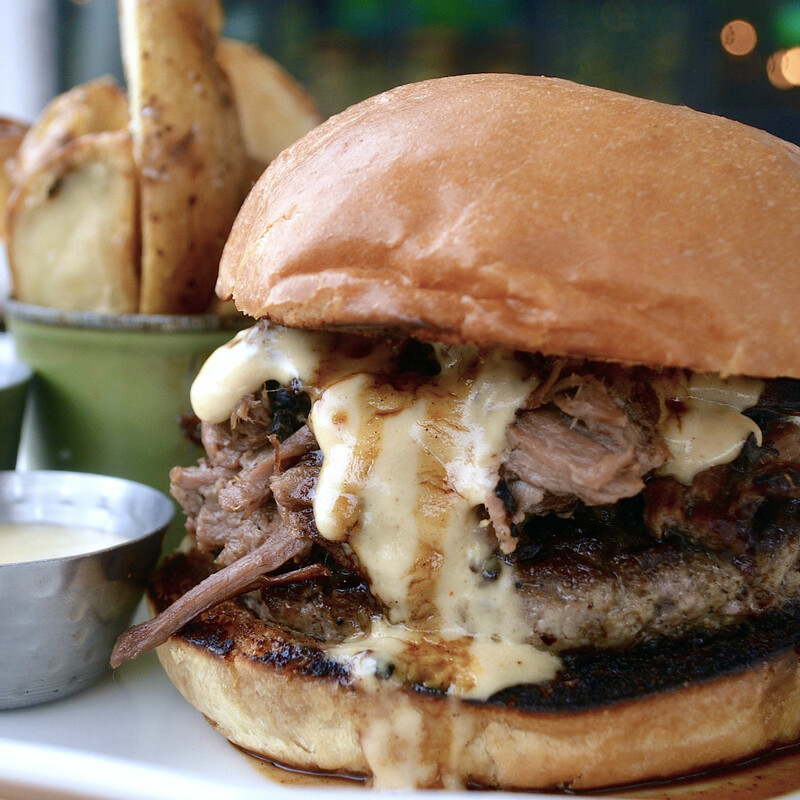 The name says it all: Burger-Chan’s Spicy Burger ($7) comes with a five-ounce ground chuck patty (seared and glazed with umami sauce), pepper jack cheese, and... wait for it… fiery house-made sambal mayonnaise and jalapenos three ways: charred, house pickled, and fresh. 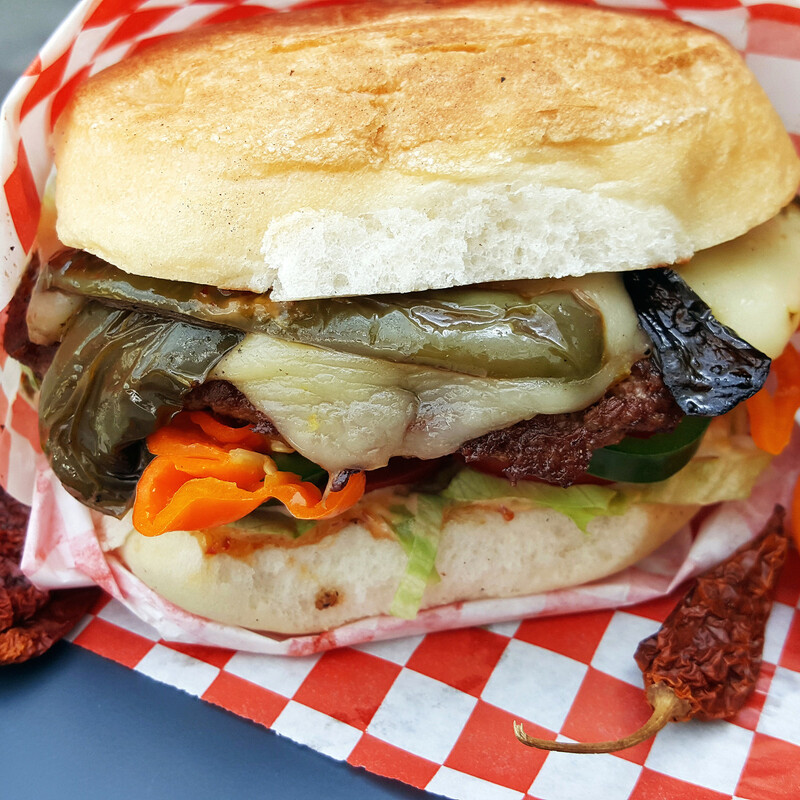 Go big with optional toppings of pickled habaneros and dried ground ghost chilies. 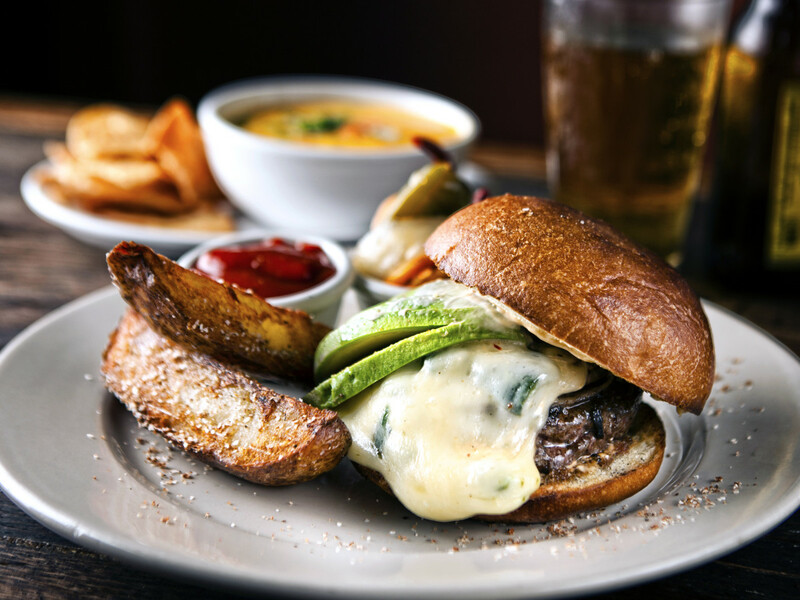 At FM Kitchen and Bar near Washington Ave., sink your teeth into souped-up burger, The Cooper ($9.69). 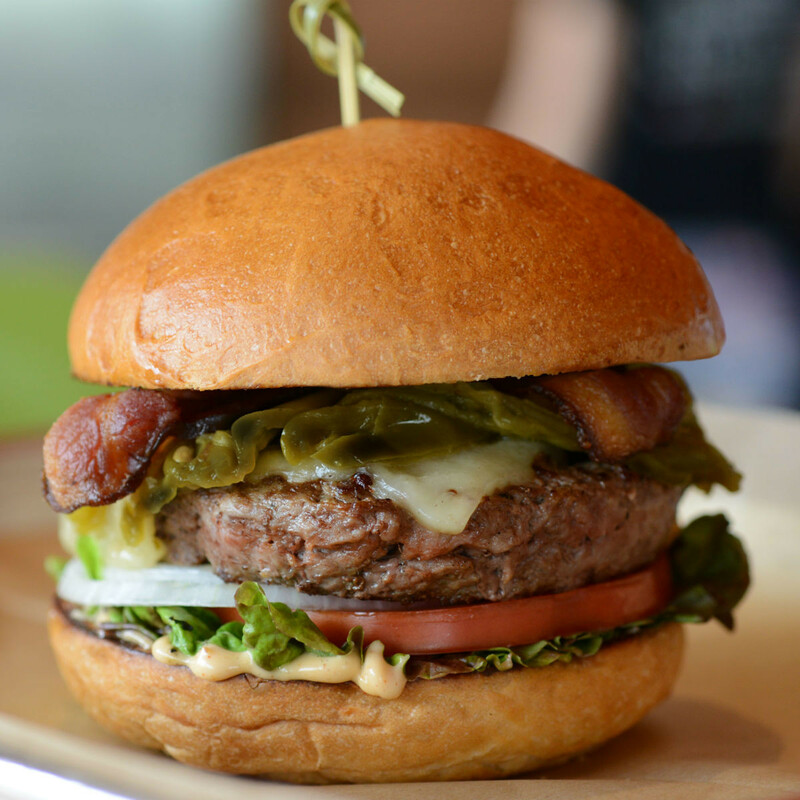 A double patty meets smoked slab bacon, griddled tomato, and here's the best part: queso. It all combines for a bite you’ll be thinking about for days. 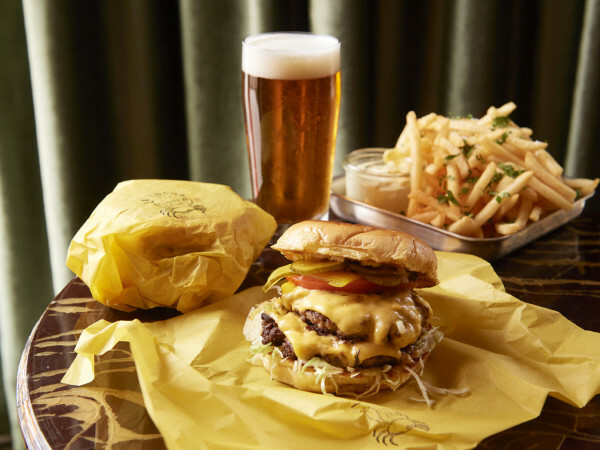 State Fare’s unique take on the quintessential American meal, the Hicksburger ($19), starts with a beef patty and Gruyere. 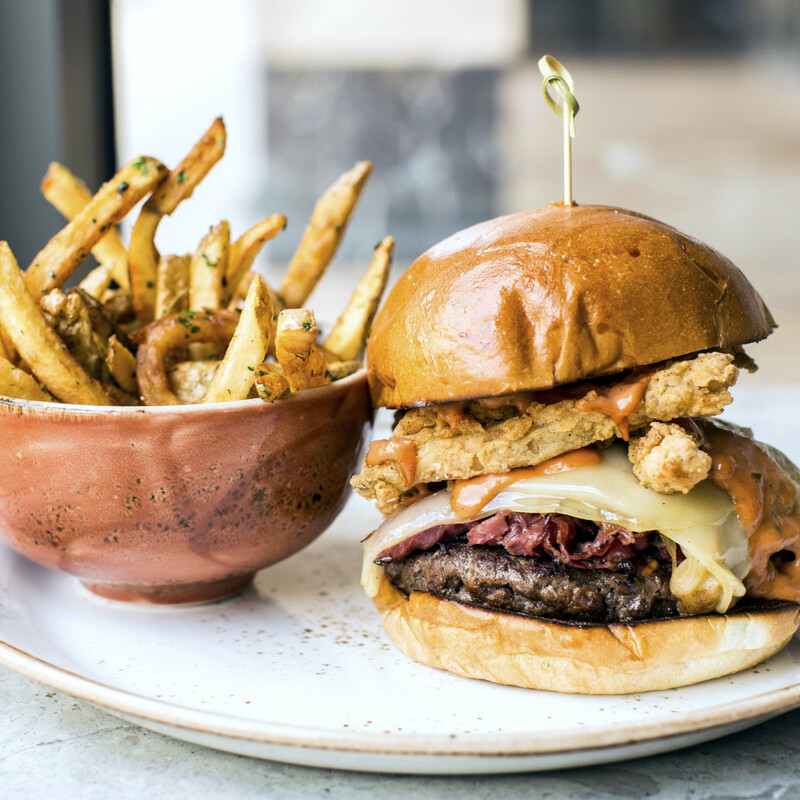 From there, the kitchen goes all out, adding hot pastrami, whiskey-grilled onions, and chicken-fried fries, battered and then deep-fried, to the mix. State Fare, you have our attention. Celebs including Martha Stewart, Jimmy Fallon, John Travolta, and Sarah Jessica Parker have hit up The Original Ninfa’s on Navigation for stellar Tex-Mex fare. 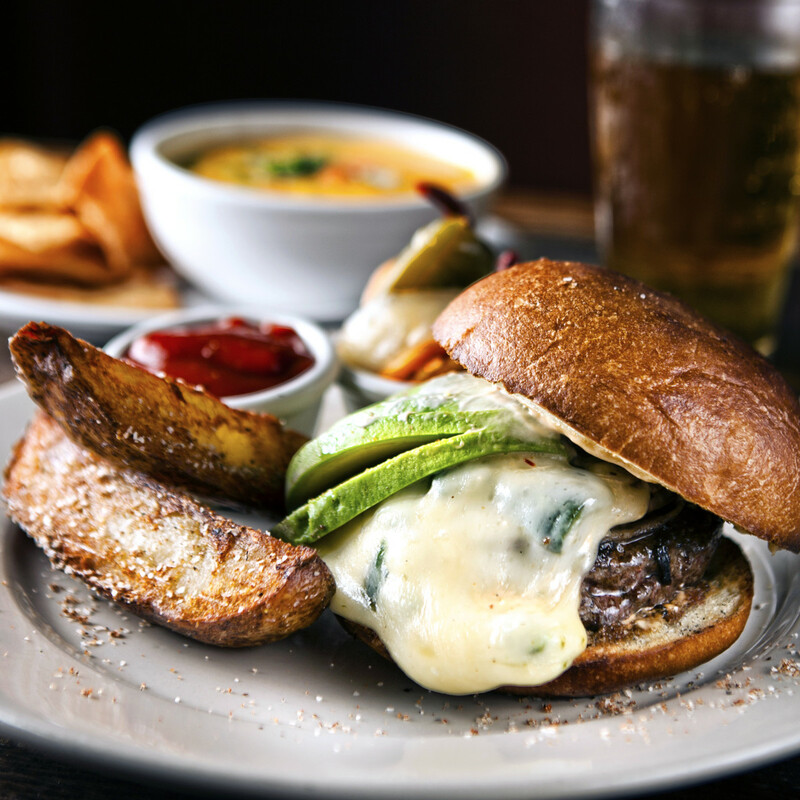 The east downtown staple also boasts an epic hamburger showcasing the house specialty: the Fajita Burger ($16). 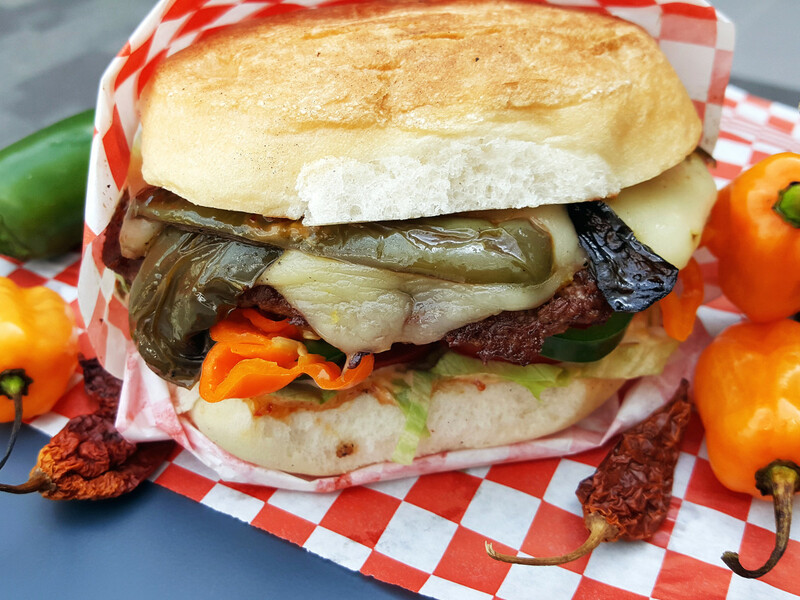 The patty is made with ground fajita meat — and stuffed with chopped fajita meat. It’s finished off with grilled red onions, poblano peppers, avocado, chipotle mayo, and a cheesy blend of Jack and Oaxaca cheeses.